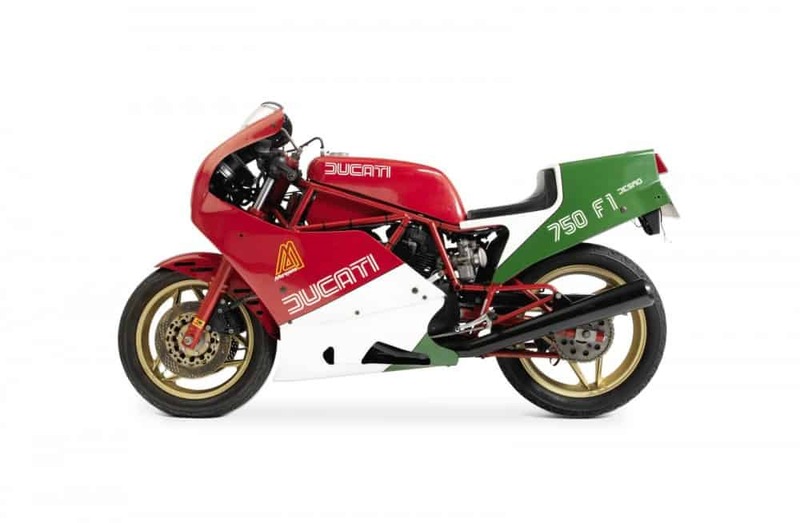 Controversially, Cagiva had intended to rebadge Ducati motorcycles with their own branding, however this would likely have led to an armed insurrection across the Italian peninsula, ending in public hangings à la Mussolini. Wisely the Cagiva board of directors elected to keep the Ducati name alive. 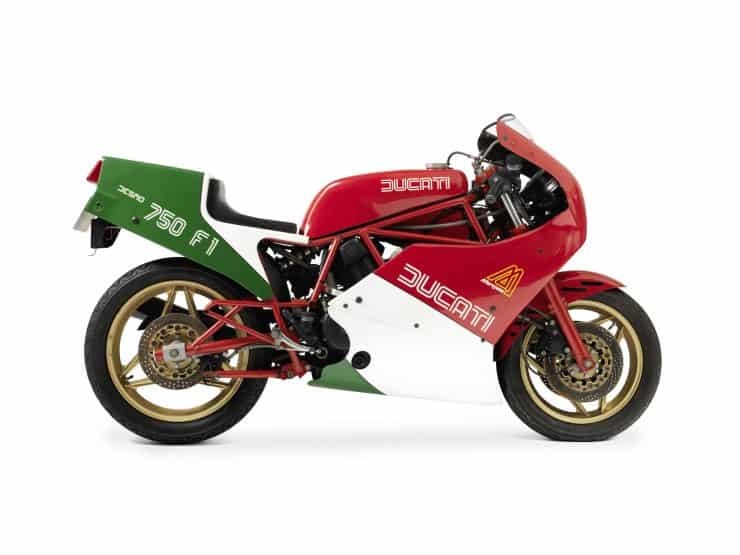 The Ducati 750 F1 was first offered to the public in 1985, and was sold until 1988. 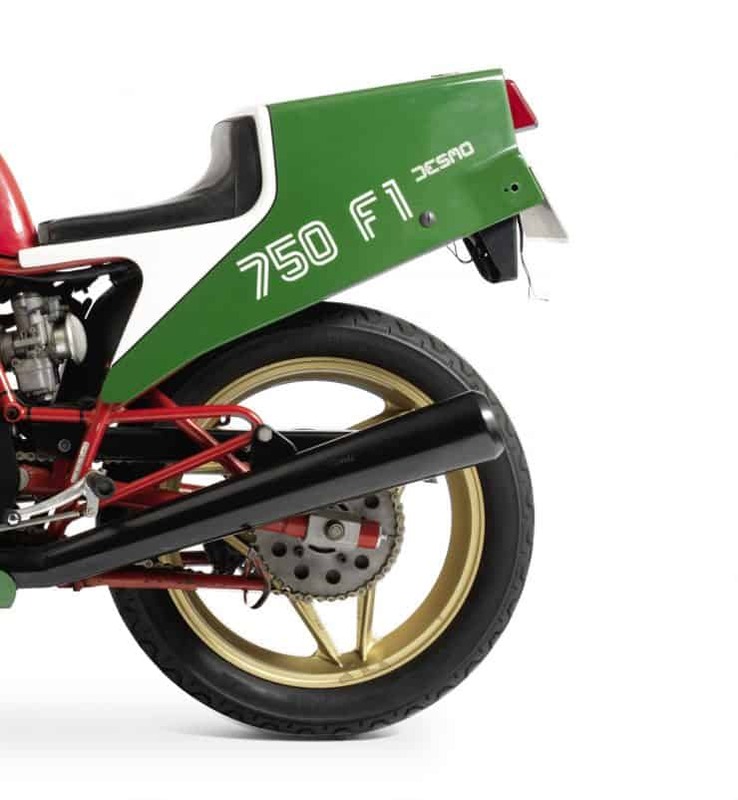 It was based on the hugely successful Ducati 600 TT2, a race bike that had won the 1981 Formula 2 World Championship, as well as the 1982, 1983, and 1984 Championships. 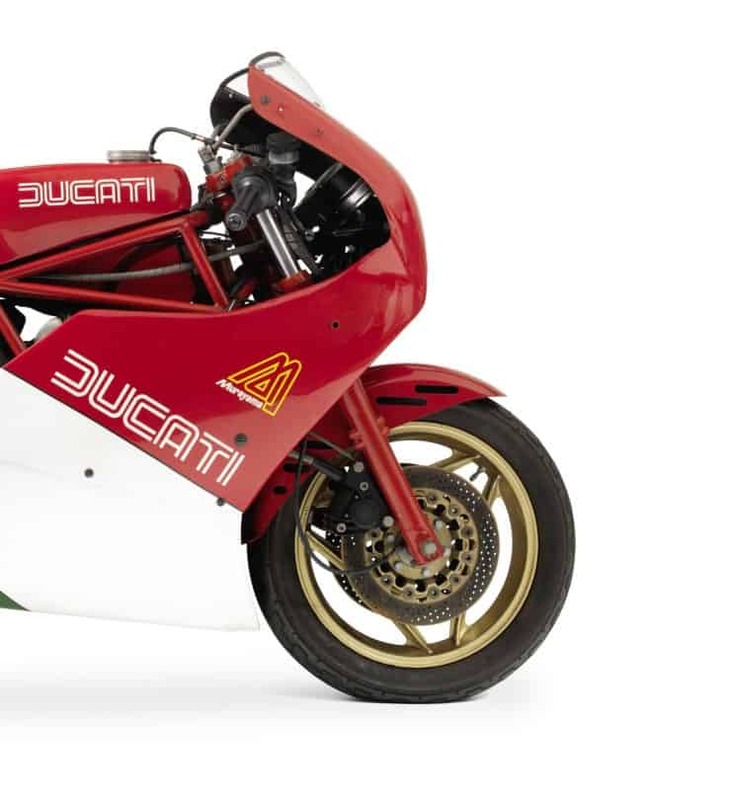 In ’82 Ducati decided to build the 750cc version of their world-beating 600 TT2 for Formula 1 competition. The 750 F1 was never as successful as its slightly smaller engined stablemate, but its DNA was unparalleled and before long the public were clamoring for a street-legal version they could buy from their local dealership. This entry was posted in Blog and tagged 750 F1, Brembo, DellOrto, Ducati, Marzocchi, superbike.